North-west London’s Harrow is home to many clients that have been satisfied with our services for years. 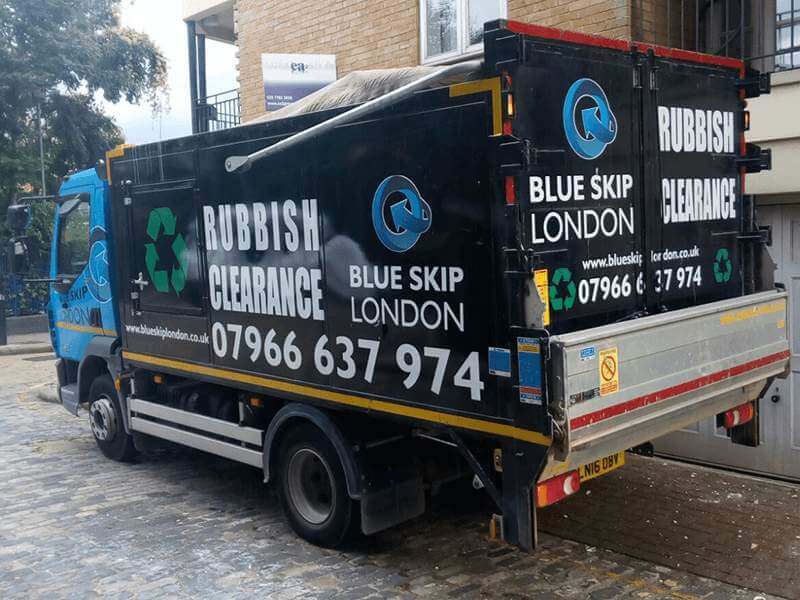 If you live in Harrow and are looking for a solid waste collection company, Blue Skip London is just the company you’re looking for. We offer a wide selection of skip sizes so that you can pick one that best suits your needs. Our main specialty is construction waste, but we can help you with all kinds of waste, including difficult waste like electronics. In case you don’t want our lorries and are just looking for a place to dump all your waste, our yards are a safe and reliable way for our clients to dispose of their rubbish. 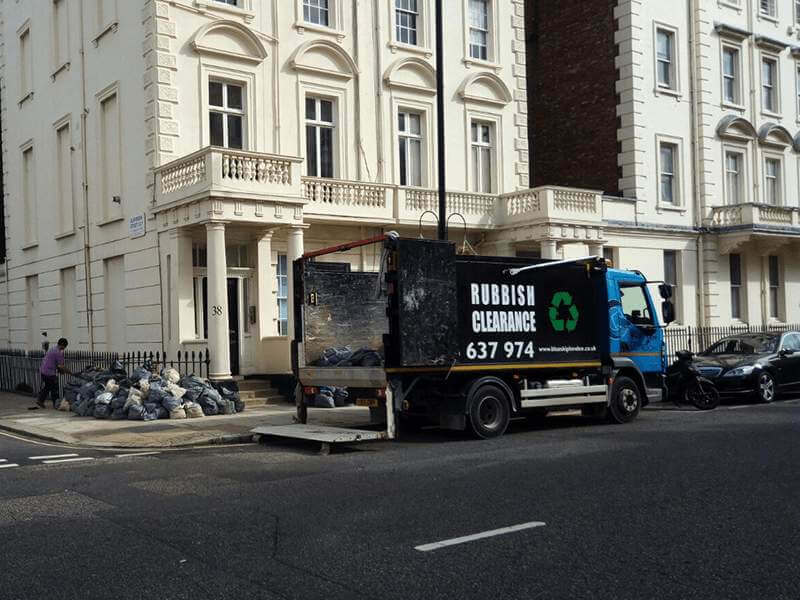 If you’re looking for a reliable way to get rid of all of your waste, be it from your home or commercial venue, in Harrow, Blue Skip London is your best choice. As a licensed provider of waste clearance services, with all the necessary certificates, we can provide you with a service that you can be certain is reliable. 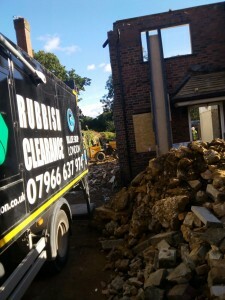 With waste removals, it’s important to remember that the most important aspect of the job is to keep the area cleaned. That’s why Blue Skip London goes to great lengths to ensure that the cleaning service we offer is of the highest standard. Thanks to our cleaning up service, your home or commercial venue will be left spick and span, so you can rest easy. Located in north-west London, Harrow is one of London’s Boroughs. It is home to the Harrow School and is one of the more affluent areas of the city with a very diverse background, both in terms of ethnicity, and religion. It houses the Usurp Art Gallery & Studios. If it weren’t for Blue Skip London, we’d be drowning in waste. Thank you for making short work of it! The team from Blue Skip were professional and pleasant throughout the whole clearing process, making it both quick and effortless. 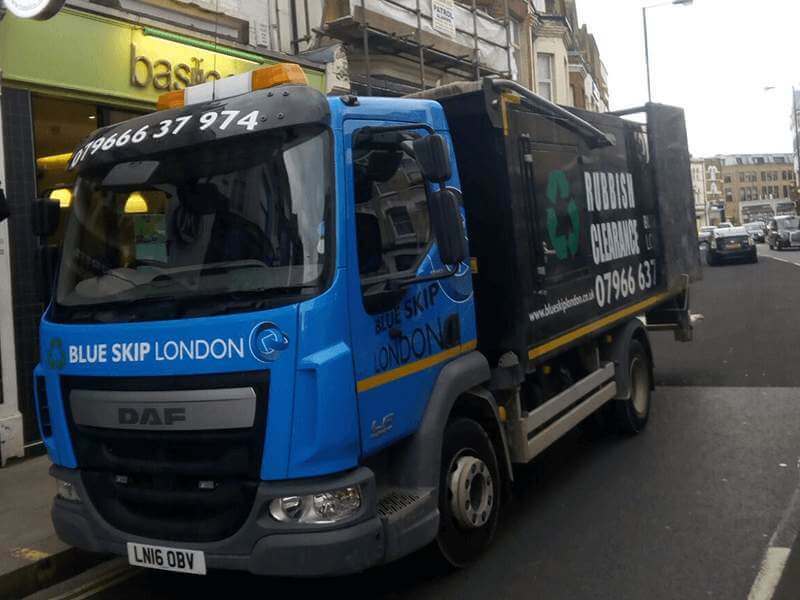 Thanks to Blue Skip London, we managed to dispose of our waste in a quick, effortless manner! What we can do for you in Harrow?